Pics kindly supplied by Rob Dee, Mags Cummings, Geoff Howlett and Dave Henshaw..
What a great weekend Sunnyside 06 turned out to be! I think that one lesson learned is that wherever we manage to hold next year's event (of course there will be a next year's event!) we need, once again, to plan a complete weekend. 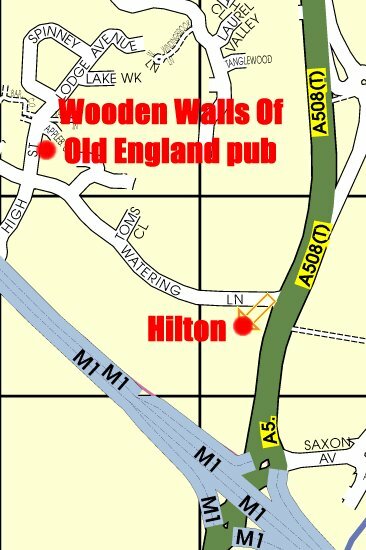 On the Friday evening, about 30 of us gathered in the Wooden Walls Of Old England pub at Collingtree, 10 minutes' walk from the Hilton, Northampton. The pub was recommended by Kevin Summerfield, Laura Buckley's manager, who looked after so much of the local liaison for me. The lounge bar was very cosy, with Daniel Heeney set up on his disco in the corner. Maureen and I arrived at about 6.30, and in common with most people, decided to order food while there was still plenty of elbow room. Daniel kept us entertained, before Rob Dee, Russ Dee and Dave Jay took their turns with the microphone. As promised, Vince Eager arrived soon after 8.30, and was prevailed upon to give us one number, demonstrating why he has stayed so much in demand over a career spanning almost 50 years. Vince remains a real star, and someone who is a good friend to all of us. Daniel played Laura Buckley's CD track Legends Never Die, and Kevin called her on his mobile telephone, so that she could hear us singing along. We made our way back to our respective lodgings for a good night's sleep. Next morning, I was awake in time to hear Brian Matthew playing A Thousand Stars on Sounds Of The Sixties, then we made sure we got our (inclusive) money's worth at breakfast. The only problem with this was that 17 of us at the Hilton also had a free three course lunch looming at 12.30, but we managed to do justice to it. I arrived at the Sunnyside at 1.30, to find that about 25 people had beaten me to it, but as throughout the event, Ken Darvell was keeping a watchful eye on events. We removed as many tables as possible, and started re-arranging chairs, then started showing videos and DVDs on the projection screen. I showed the Russell Harty interview, Unforgettable, the Omnibus programme and Parnes, Shillings and Pence. Frankly, I'm not convinced this was the most successful part of the weekend, as there was too much light in the room, and people were more interested in socialising. Perhaps on another occasion, I can have films running on a monitor in one corner for those who are interested, while we have just a musical background for the social event. 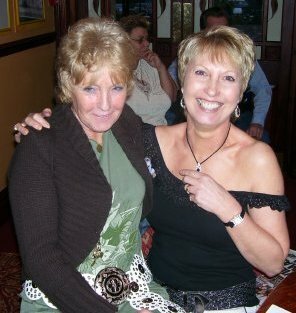 The two fan clubs set up their memorabilia stalls (I took the chance to pay my 2006 subscriptions) and Pauline and Maureen put on show the 40 raffle prizes, which Cecilia was also very helpful in acquiring. The Sunnyside staff were marvellously attentive, making several suggestions to smooth arrangements, and keeping us supplied with drinks and food. The artists' sound checks were supervised by Colin Paul, who kindly allowed everyone to use his band's PA equipment throughout the evening. 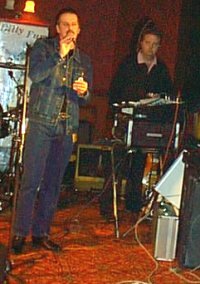 At 6.25, I welcomed everyone to the event, then handed over to Daniel, who brought on stage Jett Scream, who was making his debut at a billyfury.com event. Jett proved to be a great asset to the show, with a varied set list. Chris Eley, who has seen him work in the past, remarked on the great strides that Jett had made in technique and presentation. I'm afraid I didn't make notes on the sets of our superb cast, as Ken and I were busying ourselves with door duties. Rob, who co-ordinated the set lists for us, and I had been concerned that we might over-run, but thanks to the artists' cooperation, we actually started getting ahead of time. Russ Dee, Dave Jay and Track Back all gave brilliantly accomplished performances, before Rob closed the half with a real crowd-pleasing selection. When Vince heard Rob on Friday, he remarked on the great strides that Rob had made since he witnessed Rob's already very accomplished performance at Sunnyside 05. In fact, if Rob had heard Vince, I think he would have been very, very gratified to hear Vince's complimentary remarks. 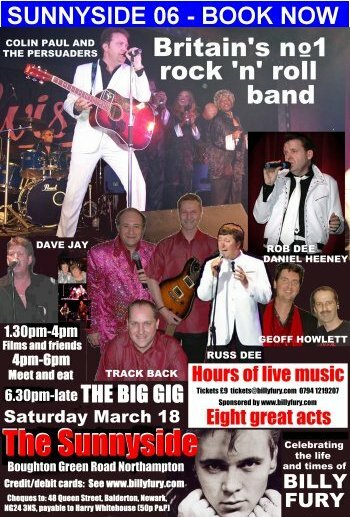 The interval opened with Chris Eley, who ran an auction for us, raising �5 from sales of a framed Billy Fury photograph, a copy of the Memphis local newspaper that reported Elvis's death and funeral and a Sunnyside 06 poster, signed by all of the artists. We moved swiftly through the superb raffle, which made �3. 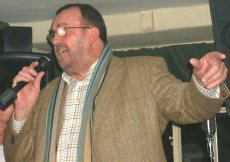 The second half was opened brilliantly by Geoff Howlett, who expressed appreciation of the quality of Colin's PA system. Sophie very kindly presented my wife Maureen with a bouquet and chocolates, to show everyone's sympathy with her for putting up with me. Laura was unable to attend, as she is recovering from a minor operation, but the Buckley family were out in force to support Laura's sister, 14-year-old Emily, a real charmer who delivered a wonderful, tight set that delighted the audience. 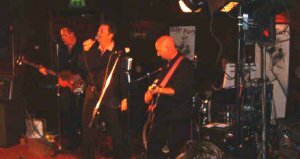 Finally, Colin Paul and the Persuaders, rightly billed as Britain's number 1 rock 'n' roll band, had the Sunnyside jumping. Rob Dee guested to give Colin' s voice a brief rest, then Colin climaxed the set with his trademark Hurt, plus In Thoughts Of You and, of course, Halfway To Paradise. Encores were a soulful Nobody's Child and Do You Really Love Me Too. We had a paid-for attendance of 139, but once again, several local people who turned up at the door did not come in, because there were no seats. With bands, etc, the actual attendance was probably 155. On Tuesday morning, I posted a cheque for �3.20 to Alder Hey, bringing our total fundraising to �06.43. Utterly brilliant. Officially, that was the final Sunnyside event, as the venue's new owner, the giant Spirit Group Ltd, believes that our shows don't suit their image. Two days after the event, I obtained the name of the managing director, and I have written a detailed letter to him, explaining who we are, the special significance of the Sunnyside, and the deserving nature of our cause. As we managed to forget to take our camera to any event, I would be very grateful for any photographs, as well as other reports. We left Macclesfield around 12.15pm on Friday, and headed south. We stopped for lunch in the middle of nowhere. I think the landlady recognised me, as she called me sir! Back to the car in the freezing cold and onwards. Had a good drive down the motorway which was surprisingly clear. Claire asked me to put my CD on - she says it always helps her to sleep. We arrived at the Hilton around 3.30 pm, and saw Rob Dee and Chris, Pat and a few others from London and Southend. It was nice to meet them all. After we had unpacked, Claire decided she wanted a book. She always takes one when I'm performing, so off we went to find one in Northampton. Couldn't quite understand why, having driven past numerous motorway services on the way down she didn't get one there, but never mind, I was quite happy to negotiate two roundabouts from hell and drive into a strange town and get lost several times to try and find a book. We didn't, so back to the Hilton and dinner. We were going to the nearby Wooden Walls of Old England pub for a jam session after dinner so I got ready for that. I put on my nice stripy shirt and decided I looked fat in it. Claire said it was no different to any other shirt. It was now 8pm, and Claire wanted to watch Eastenders, so I thought I'd better show a bit of authority here and put my foot down. "No we're not watching that, we're leaving for the pub now." So after Eastenders had finished we arrived at the quaint little village pub, where Rob Dee was already in full swing. We met Russ Dee, Harry, Kevin, Daniel, Cathy, Marie Jean , Bob and Sheila, Mags and John, and many more. vast library of 60s songs, 14 at the last count. I must have done OK because, a lady behind the Bar with an Elvis T-shirt on said: 'You were very good" and women don't often say that to me. 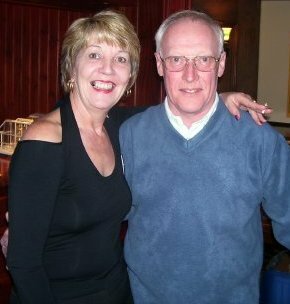 I was a bit worried when i was singing, because every time I stepped forward, Pat kept telling me to get back. I couldn't understand what i was doing wrong, until she said: "I'm trying to video this and every time you step forward all I get is a big stripy belly." See, what did I tell you? So Rob Dee, Russ Dee, and Dave Jay (we're not very good spellers) had all performed and Daniel entertained everyone superbly. What a guy he is, a great character, and a lovely guy, and his van is something else. Vince Eager treated us to The Wonder Of You -I think the ceiling shook. Russ Dee and I hit it off straight away, and had a great time. He bought me a pint, and I took a photo of it, as it's the first pint I've ever had off a Yorkshireman. Russ was fine about it, but he did have to go and have a lie down for half an hour. Russ is a fantastic guy. The night sadly came to a close and it was back to the Hilton to prepare for tomorrow. SATURDAY: We had a lazy day, went in the steam room and pool, and just before we set off for The Sunnyside, we mortgaged two cups of coffee in reception. We picked Russ up about 3.45pm from his bus shelter, sorry Premier Inn, and arrived for the sound checks, having taken only five wrong turnings. From the moment we arrived it was great, the atmosphere was electric and even at 4 o'clock the place was nearly full. 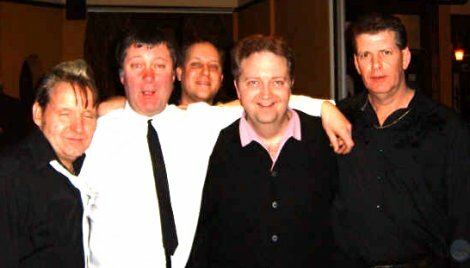 We met up with Colin Paul, Geoff Howlett , David, Doug, and Roger from Track Back, and everyone from the previous night. It was nice to see Kat again too, and many others. It was soon 6.30 and on came Jett Scream, to open the show, looking great in his fringed jacket. He gave a powerful performance of Billy songs. I particularly liked his opening number Don't Jump. Jett performed with a genuine passion for the songs he sang and gave a great performance. Sorry i didn't get to meet you Jett - I did look for you. "Bloody hell and I've ironed it three times." Priceless. His performance was flawless, and in my opinion he doesn't half sound like Billy. I loved his version of Memories from Elvis. Terrific set as usual from Russ. It was now my turn, little bit nervous but never mind, it was my first time. The audience were fantastic, and made me feel like I belonged there. Thank you. I was so pleased to see Bob and Sheila jiving to one of my songs, and it was a great sight to see everyone swaying their arms to Daydream Believer. It was a big thrill and honour to sing for you all. Thank you so much. Next up Track Back. I've always liked this band, they are so relaxed, and always look like they are enjoying themselves, and they play the songs in their own style, and Roger makes the songs his own with his vocals. Fabulous set from them as usual. Take the stage, Rob Dee. Rob is very popular with the crowd, but he's earned that with some storming sets in the past, and this one was no exception. He did some numbers off Billy's wonderful Sound Of Fury album, and some lesser-known Billy songs as well. They were all tremendous, and he quite rightly brought the house down. We then had the auction and raffle, some great items on both of them. Geoff Howlett opened the second half of the show for us and he was great , very relaxed and professional. I just loved his version of 24 Hours From Tulsa. Geoff is another who does things his way, playing guitar on some of his songs, and singing them in his own style. Brilliant. Daniel kept us all entertained in between sets as only he can, and he gave us a fantastic rendition of Eden Kane's Well I Ask You. You've got a great voice Daniel, let's hear more of it. Daniel is a star and I'm pleased to say, one of my friends. Emily came on next, and sang three songs. She was great and I was shocked when I was told she was only 14. She looked amazing, and sang amazing. Great future ahead of her. Mention here for her sister Laura - hope you are well on the road to recovery, and will be joining us next year. Headlining the night was every rock and roller's dream, that dream being in the form of Colin Paul and the Persuaders. There's not a lot I can say about them really, that's not already been said. The word awesome springs to mind. Colin really is a smashing guy. Maybe some people didn't notice but from the time I arrived, about 4 o'clock, he was working with all the performers, doing sound checks with us, and encouraging us all with nice words. It was his equipment most of us used, and he was operating the mini discs during our sets, and making sure the sound was right, complimenting us after our sets, etc. Thank you, Colin. His own set as usual was wonderful, song after song after song of the highest quality, backed by the superb Persuaders, the dance floor full all the time, culminating in everyone singing Nobody's Child, and Fools Errand being a perfect end to a perfect night. I must have been at the Sunnyside for eight hours or more and never once did I feel bored or tired. The time just flew by. It was brilliant, so much friendship, fun and great music. Thank you to everyone who was there for being so nice and friendly. To Russ Dee for being such superb company, and to all performers. I thought you were all brill. Thank you to everyone who worked behind the scenes. I hope i haven't missed anyone out, or got anybody's name wrong. Apologies now if I have. Let's hope we can do it again next year. I guess the biggest thank you of all must go to the greatest singer, ever, BILLY FURY. Do you know what? We never did get that book. Got to the pub about 7pm. I was one of the last in. Daniel was in fine form on the decks, occasionally blasting out songs. At one time, Ii thought Eden Kane was in the pub. Next time, Daniel, bring a lead for that monkey - it would not leave me alone. I spent the night meeting all the people that were there. It was great to see the likes of Barbara and her husband, Bob Taylor and Sheila, Henry and Pauline, Mags and her husband, Harry and Maureen. 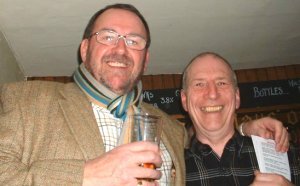 Then there was this comedy duo at the bar (they turned up Daturday as well). I think they called them Toddy and Marie, or was it Marie and Toddy? Anyway, they made me laugh all weekend. At the bar were my great mates Cathy and Kevin trying to drink each other under the table. I think Cathy won. Then there was this huge guy in every sense of the word, the brilliant Vince Eager. I hope he realises the lift he gives us all by being there. Last but not least, the singers. Rob Dee is one of my heroes. He was there with his lovely wife Chris. Then a moment that will change the rest of my life. Dave Jay and his carer walked in we hit it off straightaway. What a terrific couple. Poor Claire was looking after two kids all weekend. Thanks Claire. Rob and Dave did a couple of sets. I did one set because i had to travel back home because Janet was not feeling too good. I'ive been telling her that for ages, but that's another story. I'm sorry I missed Vince singing - maybe another day. I got down about 3 pm, on my own again. Dave Jay must have had a lonely night because he was waiting for me on the motorway with his carer. I checked in at my bus shelter only to find I was sharing my room with a paraffin lamp (tramp). Dave then took us for sound checks. I think Claire wanted to use all the petrol because we went everywhere. Either that or she was just driving round to get Dave and myself off to sleep. Any way got to the Sunnyside at 10.30 - no, 5pm. We all did our sound checks, now ready for the show. I'm not going to repeat my self with all the artists but I was in total awe of them all. Jett Scream, what a character he was. Great set, and after my set I went to the back of the room to talk to him. He told me some great stories. Thanks for that and great meeting you. Then on was a waiter in a white jacket called Russ Dee. I don't remember much about him. Then my great mate Dave Jay. He sang some great sixties stuff. I'd just like to remind Dave he owes me a pint. Next on were Track Back. I'm thinking of asking them to come up to Leeds to do my 30th birthday party. Brilliant as usual lads. Next was the auction which was done by another good friend of mine, Chris Eley. Great to see you again. Then the raffle, from which I selected a lovely picture of Billy. The second half started with another great mate, Geoff Howlett. I always enjoy Geoff and his wife Judith's company. His set was great. Then on came the brilliant Colin Paul and the Persuaders. I'm like a kid in a sweet shop when I see these guys. Before I go on about their set, I would just like to say what a diamond this bloke is. He is so helpful. Now his set was absolutely brilliant. During Colin's spot, he got Emily up to sing. Can anybody tell me the song she sang? I thought it was superb. Atfer Colin's set, Rob and I got up and sang Fool's Errand, which gave me a bit of a buzz. Last but not least, Daniel held the whole show together as usual. That monkey turned up in my bedroom. That's magic. I would like to say it was great meeting you all again and I hope we do it all again next year. We set off from Hull around 10.15am on the Saturday morning and began our journey to the Sunnyside. Judith suggested that we stopped about noon for something to eat and to stretch our legs. But, despite all attempts, neither of us managed make our legs any longer. Our in-car navigational system (Judith with an AA route) led us directly to Northampton but there, sadly, the on-board system failed and we got lost. We stopped by the roadside to ask a passer by the way. 揇o you know the way to Boughton Green Road?� I asked. 揧es�, he politely replied and promptly carried on walking. Luckily, a lady in a near-by filling station was more helpful, and we arrived at our destination a little after 2pm. A couple of dozen people were already settled in the 揷oncert� room, including Magical Daniel (taller than ever) and Harry, who was busy wiring up the video projector. We ordered a late lunch and sat to watch the videos on the big screen. More people began to arrive as the afternoon wore on. Mags was busy getting everyone to sign a card for Billy抯 mum抯 85th birthday, and Pauline and Maureen were beginning to organise the raffle. Colin Paul and The Persuaders began to bring in all their gear and sound equipment. With Daniel抯 disco PA already set up in one corner, it looked as if things were going to be quite tight around the stage area. Things looked even tighter once Roger Sea and Trackback arrived and brought in even more kit, so things had to be carefully placed to avoid accidents. A little after 4pm, Colin and the band began to sound check to a small but appreciative audience. Their sound was excellent. 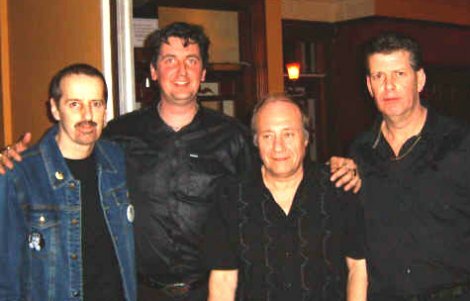 Around this time Russ Dee arrived, along with Dave Jay and his wife, Claire whom we抎 met at Fury Fest 03. Then, it was my turn to sound check, so I strapped on my guitar and launched into a rendition of Buddy Holly抯 Oh Boy. Colin soon had the sound tuned perfectly and this, too, was well received by those gathered. Judith and I then left the Sunnyside to go to our hotel. After a quick bath and a change of clothing, we returned to find the evening had just begun, with surprise guest Jett Scream on stage. I抎 never met Jett before but had spoken to him on the phone when I was putting together a Radio Fury programme two Christmases ago. What a smashing bloke he turned out to be. We took our seats with Mags, John, Jean, Marie, Cathy and Sophie and settled down to enjoy the evening. Jett sang a great set of songs with a powerful voice and stage presence, and the tone was set for the evening. At the end of his set, our old friend Kat and her husband/partner joined us. Next up was Russ Dee, resplendent in his white jacket. His set was a lot more laid back but, nevertheless, met with great approval from the audience. His version of Unchained Melody was particularly good. Despite the fact he comes from Leeds, I still enjoy his singing. It was good to finally see Dave Jay in action. Despite his own reservations, we thought his performance was first class, and he brought screams from one table when he announced he was to sing a song by the Searchers. Track Back came on stage next, with the two guitarists opening with a Shadows number. 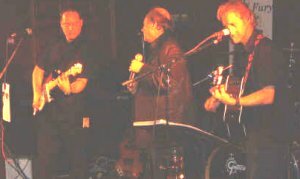 Roger Sea joined them for the rest of their set and performed songs mainly from their Groovy Tracks CD. If you thought they were good last year, then this year showed just what a polished act the trio have become. Before the break, it was the turn of Rob Dee to strut his stuff and entertain. Here抯 another guy who just seems to improve with every passing year that I see him perform. Rob just gets better and better, and his stage presence is first rate. During one song, he wandered into the audience and placed one leg upon our table. Mags, looking a little surprised, made a playful move for his thigh and, great trooper that he is, Rob抯 vocals never wavered once. Rob later told me that it was all part of his stage act, but we had a sneaking suspicion that he was suffering from cramp. I mean, those leather trousers are quite tight! So, came the interval, and time for both an auction led by Chris Eley, and a 40 prize raffle厖which we didn抰 win! During this time, we met up with Rocker Bob Taylor, and Tony & Vicky from Nottingham, whom we抎 met at Sunnyside the previous year. The second half began with yours truly, and from the moment I sang the first line to 24 Hours From Tulsa, I knew that everything was going to be all right. Colin Paul had the sound just right (as he did for everyone), my nerves disappeared, and I gave everything I had for my performance. I remember people getting up to dance to Oh Boy but what surprised me most was even more getting up to line dance to Cross My Heart. What would Billy have thought of that? All too quickly, it was time for me to sing my last song and, afterwards, I left the stage area on an absolute high. Another surprise guest was the appearance of Laura抯 sister Emily on stage. Despite her tender years, she sang three songs with great conviction. Finally, Colin Paul & the Persuaders took to the stage and right from their first song, they had the audience eating out of their hands. What a great live outfit they are. I抎 seen them in Blackpool a few years ago, but they were even better than I抎 remembered. Colin抯 a super guy, has a wonderful vocal range, and the band are as tight and confident as any you抮e likely to see. Rob took the microphone for a couple of songs mid-set, before the music finally ended around 11.30pm. It was then time to pack all the equipment away and say our goodbyes. 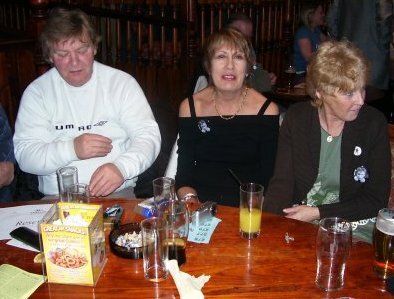 Saying that, it was at this time I was introduced to another couple from Hull, who had made the trip. Can抰 wait to see Pat抯 video of the night and re-live the memories. It was another very special evening, made possible by the support and friendship of so many. Special thanks must go to Daniel for linking the evening together, and to Colin for his tireless efforts with the sound. So, as the old song goes�.攚e抣l meet again, don抰 know where, don抰 know when. But I know we抣l meet again some Sunny(side) day�. Here抯 to the next time! FINAL SHOW: Since our show last year, the Sunnyside has been refurbished, and the performance room has been turned into a restaurant area. We are being allowed to use it only because of our long-standing booking, so THIS WILL BE OUR FINAL EVENT AT THE SUNNYSIDE. 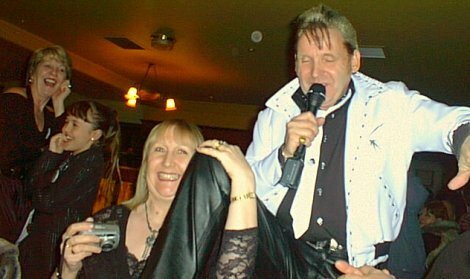 If you want to hear Billy Fury's music at his final venue, this is your last chance. Billy Fury performed his last public shows at the Sunnyside, Northampton, in December 1982. 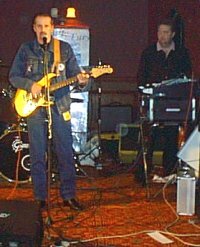 We returned there for a brilliant night, headlined by Rob Dee and the Fury Sound, in March 2005. And the show returns to the Sunnyside on Saturday, March 18 2006. Tickets are limited and you can book now. It's music all the way from 6.30pm in the evening session. This year there is an extra afternoon session, just for those who would like to socialise. No bands, but videos will play on the Sunnyside's big screen. I'm still awaiting confirmation from other great performers, so the poster isn't a final one. In the afternoon, we will screen film on the Sunnyside's big screen, and provide space to meet and socialise. To book, please send a cheque, made payable to Harry Whitehouse, for �for each ticket required, plus 50p postage per order, to 48 Queen Street, Balderton, Newark, NG24 3NS. Or pay by credit card or debit card through Paypal by clicking the Buy Now button below (50p fee charged). 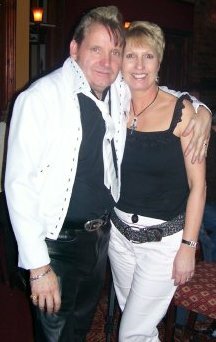 All profits will be donated to billyfury.com's official charity, the Heart Fund at Alder Hey Children's Hospital, Liverpool. This shows the location of the Hilton and the pub. The distance between the two is less than half a mile. The map below shows the location of the Hilton and the Sunnyside. They are about six miles apart. The third map shows the location of the Travellodge and the Wooden Walls Of Old England. They are about six miles apart.